Recap: Weston A. Price Conference 2011 - Mythbusters! Due to a scholarship, I was very lucky to be able to attend the Weston A. Price Foundation's 12th Annual Conference - Mythbusters! in Dallas, Texas in November. In short, The Weston A. Price Foundation is "a nonprofit, tax-exempt charity founded in 1999 to disseminate the research of nutrition pioneer Dr. Weston Price, whose studies of isolated nonindustrialized peoples established the parameters of human health and determined the optimum characteristics of human diets." The Weston A. Price Foundation is run by President and Treasurer, Sally Fallon, and a board of directors. To read the rest of the foundation's mission statement, go here. The main part of the conference ran from Friday, Nov. 11 - Sunday, Nov. 13, and there was always plenty to do: lectures typically ran from 9 am - 10 pm, with breaks for meals and time to visit the exhibitors, in addition to optional yoga and and a few other pre-breakfast activities. There were so many lectures at the conference that it would be impossible to cover everything, so I will highlight just a few of them here! Are "the housekeepers of our digestive system"
Many factors can damage gut flora, including: poor diet, antibiotics, drugs, steroids, birth control, bottle feeding, stress, infections, disease, pollution, radiation, alcohol, dental work, toxic chemicals, and more. According to Dr. Campbell-McBride, diseases are related to an unhealthy gut, such as autism, ADHD/ADD, dyslexia, epilepsy, depression, schizophrenia, any digestive or autoimmune disorders, and more. Thus, by addressing the health of the gut, one can positively impact many health conditions. 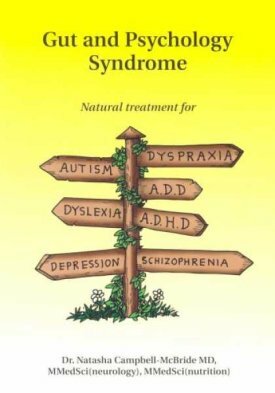 To learn more about GAPS, visit Dr. Campbell-McBride's websites here and here, and read her book: Gut and Psychology Syndrome- Natural Treatment for: Autism, ADD, ADHD, Depresseion, Dyslexia, Dyspraxia, Schizophrenia. I also listened to David Wetzel, owner of Green Pasture Products. Green Pasture Products produces high-vitamin butter oil and fermented cod and skate liver oils. Cod liver oil is the most important superfood of the Weston A. Price Foundation, because it naturally contains vitamins A and D, "which Dr. Price found present in the diet of primitives in amounts ten times higher than the typical American diet of his day." In addition, the foundation recommends consuming cod liver oil with high-vitamin butter oil, because Dr. Price "found that cod liver oil on its own was relatively ineffective but combined with butter oil produced excellent results" due to the presence of vitamin K2 in grass fed butter oil. David Wetzel spoke of how his fermented cod liver oil differs from other cod liver oil brands on the market. For example, some brands of cod liver oil may go through processes that remove some of the natural vitamins, resulting in a product with low levels of vitamins A and D, or a product that has manufactured vitamins A and D added to it. Green Pastures cod liver oil is a naturally produced, "fermented high-vitamin cod liver oil that is made using a filtering process that retains the natural vitamins." The business aim of Green Pasture Products is to "provide high-quality sacred-food oils just as they were made prior to the industrialized food and farming revolution...Fermenting the livers of fish to extract the oil is an old world practice that may go back as far as biblical times..."
Vitamin D is important because although the skin can synthesize Vitamin D with sun exposure, in northern latitudes one cannot make adequate amounts of vitamin D from sun exposure alone, especially in the winter. Learn more about vitamin D here and here. Samples of Green Pasture products were available in the exhibitors section. The Cinnamon Tingle BLUE ICE Royal Butter Oil/Fermented Cod Liver Oil Blend was by far the tastiest of the fermented cod liver oils, and I did not even attempt to try the Skate Liver Oils given the negative reactions of some of my fellow peers. However, they do have capsules of their fermented fish liver oils if one prefers not to taste them. I also took home a sample of one of their skin balms made with their cod liver oil and butter oil blend. Even though I make my own natural body products, my skin never felt so soft as when I used their skin balm, so incorporating cod liver oil in my own body products is definitely something that I will be working on in the future! Dr. Joseph Mercola gave the keynote address at the conference awards banquet on Saturday. He spoke on a variety of topics, including some of the dangers of fructose. Fructose is one of the leading sources of calories in the U.S., often in the form of high-fructose corn syrup, such as in sodas and processed foods. Fructose causes wrinkling, cellulite, beer belly, and obesity, and is also a major cause of nonalcoholic fatty liver disease. Fructose itself isn't bad, however the problem today is that individuals are consuming fructose in much larger quantities than in the past. Around a century ago, individuals only had around 15 g of fructose per day, such as from vegetables and fruits. Today, the typical adolescent may get as much as 73 g fructose/day from sweetened drinks. Read more about what Dr. Mercola has to say on fructose in these articles. Dr. Mercola also discussed fitness. He says what many exercisers do wrong is doing too much cardio, which causes oxidative stress. Instead, Dr. Mercola recommends what he calls peak fitness: an exercise program in which for no more than three times a week you exercise, by raising your heart rate up to your anaerobic threshold for 20-30 seconds, recovering for 90 seconds, and repeating this cycle for 8 repetitions. You would also begin this exercise with a 3 minute warm-up, and end with a 2 minute cool down. If you follow this routine, every time you exercise will only be an investment of 20-25 minutes, which he says is better than traditional cardio. Peak fitness exercises increase the amount of human growth hormone (HGH) you produce naturally, because it engages the white muscle fibers, which are the only muscle fibers that increase production of HGH. HGH is "key for strength, health and longevity." Dr. Mercola first learned about this approach to fitness from Phil Campbell, author of the book "Ready, Set, Go!". For more about peak fitness, read Dr. Mercola's articles: "The Major Exercise Mistake I Made for Over 30 Years..." and "Flood Your Body With This 'Youth Hormone' in Just 20 Minutes," which includes an explanation and demonstration of the peak fitness program with Phil Campbell himself. The food provided at the conference was in line with the Weston A. Price Foundation's nutrition principles, including grass-fed meat, butter, and dairy products, plenty of bone broths (have you ever had beef broth in a Starbucks cup? ), fermented foods, and much more. I thought there should have been more vegetables with the meals, but the lack of vegetables may have been due to the drought in Texas. Overall, it was a great conference with diverse speakers on a variety of nutrition and health-related topics, and it was great to meet others who were also interested in nutrition and their health. I also enjoyed visiting Dallas, Texas for the very first time! Read more details about the 2011 Mythbusters Conference here, visit this page for conference recordings from 2006-2011, and stay tuned about the Weston A. Price Foundation and their next annual conference on their website. I hope this article has given you some food for thought, and here's to a happy new year!